If need a gift wrap organizer and would rather build than buy, here's a nifty project for you. This organizer also doubles as a display for your pretty wrapping paper and ribbon. Instructions at 33 shades of green. 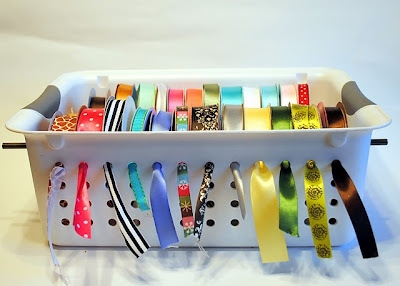 Spunky Junky shows you how to make your own ribbon organizer for less than $5. 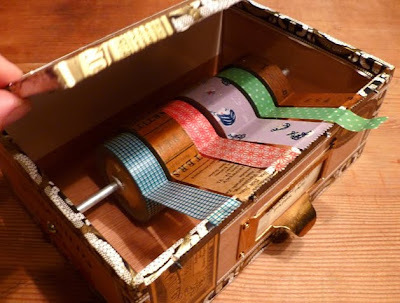 Transform an old cigar box into a tape dispenser. Instructions at Just Something I Made.